Heineken's CEO, Jean-Francois van Boxmeer, has said that the brewer still has room to increase sales in Europe, despite beer consumption declines in many countries. Analysts hailed Heineken's acquisition of Mexico's FEMSA Cerveza at the start of this year as a move that would transform the brewer's growth prospects. The deal significantly improved Heineken's exposure to emerging markets, helping to offset beer sector stagnation in many European countries. 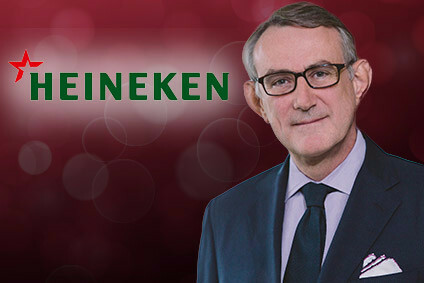 However, van Boxmeer told just-drinks that Heineken's strategy in Europe was not only about cutting costs. "Europe is still a growth market for us," he said, speaking on the sidelines of the Beer Serves Europe conference in Brussels yesterday (12 October). Heineken sees opportunities to use speciality beers in its portfolio, such as Belgian beers Grimbergen and Affligem, in order to increase value sales in Western and Central Europe, he said. The brewer is understood to have bid to acquire De Koninck brewery in Belgium earlier this year, but it lost out to Duvel Moortgat. Van Boxmeer declined to comment on whether Heineken was still seeking to acquire speciality breweries in Europe. He said that the brewer was focused on "recalibrating" its operations in the region. According to trade body Brewers of Europe, the number of breweries in Europe has risen strongly in recent years, even though overall beer consumption has fallen in many countries. The CEO of Duvel Moortgat, Michel Moortgat, said that a new wave of small-to-medium breweries was prospering from consumers "drinking less but drinking better". He said: "There are more and more small breweries and microbreweries that are producing small batches of high quality beer with an added value, and therefore they are able to survive." A potential pitfall for the brewing sector is the consumer trend towards drinking at home rather than in bars, which may erode brewers' profits. Off-trade beer volumes are more than 50% higher than on-trade volumes in Europe, yet the off-trade only accounts for a third of sales by value - EUR35bn (US$49bn) versus EUR89bn in the on-trade. Van Boxmeer said that it was up to brewers to find new ways of creating value in the off-trade. However, he indicated that Heineken would support efforts to ban sales of beer at 'below cost'. "When the supermarkets are promoting beer at below cost price, that makes it a little bit difficult," he said. 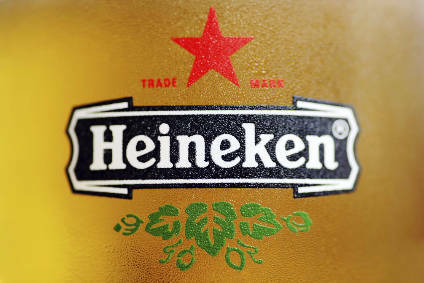 Heineken's beer sales by volume fell by 4% on a like-for-like basis in the first half of 2010, with growing demand in Latin America, Africa and Asia not enough to outweigh the depressed consumer environment across Europe. Favourable exchange rates helped the group to increase net sales by 5% for the half-year, to EUR7.5bn. Yesterday's conference was organised by Brewers of Europe in order to highlight beer's contribution to Europe's economy and culture.